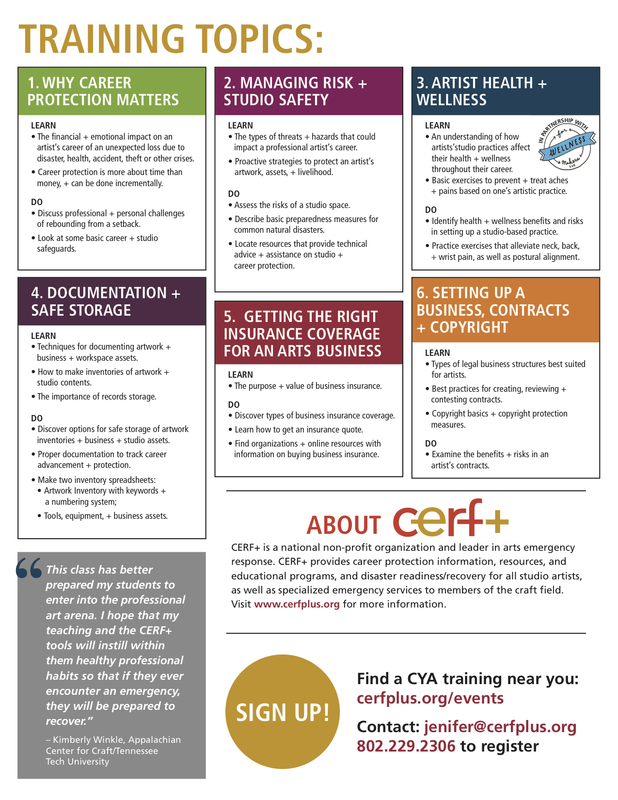 Registration is open for CERF+'s Fall 2017 Cover Your A's: Art + Assets + Archives training! Artists feel most happy and productive when they’re making art. Sometimes, though, life can have other plans—from the predictable stress of moving to a new studio to the unexpected headache of having to clean out a flooded one; from taxes and insurance to accidents and emergencies. 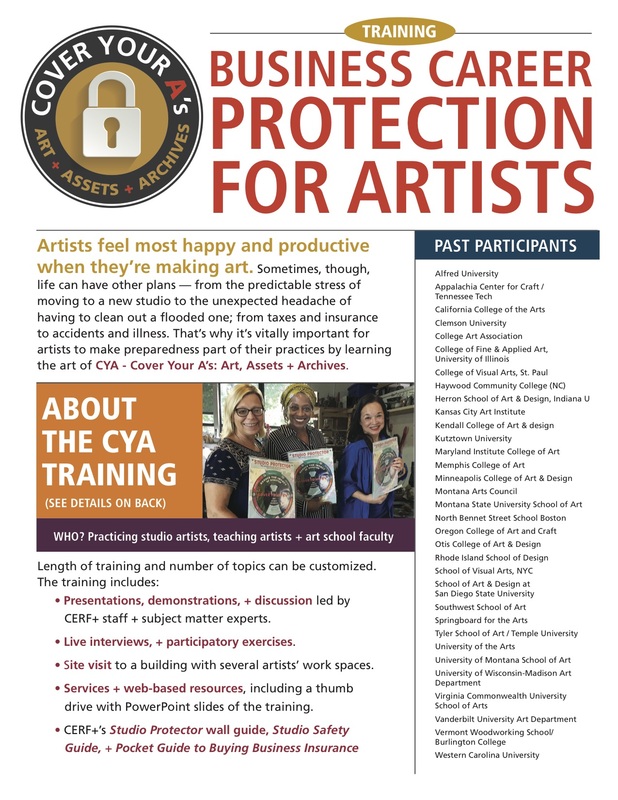 That’s why it’s vitally important for artists to make preparedness part of their practices by learning the art of CYA—Cover Your A’s: Art, Assets + Archives.